The Autoadapt Turnout is a rotating seat that swivels up to 90 degrees towards the door to make getting into and out of your vehicle easy. This car adaptation can be fitted to the driver or passenger side and is available in a manual and electric version. Fully crash-tested, this seat is CE-marked and has EMC approval. The Turny Low Vehicle has a new design to fit a wider range of vehicles. This rotating seat makes the most of the space so you can get into and out of low-floor vehicles with ease. There is plenty of head room and significantly more leg room for a comfortable journey. The Autoadapt Turny swivels the car seat out of the vehicle and lowers it to a suitable position for transferring to and from your wheelchair. Choose from the electrically operated Oribt or the HD model which has a manual swivel action. Fully crash-tested, this seat is CE-marked and has EMC approval. The ultimate in car adaptations, the Turny EVO is tailored to an individual vehicle. 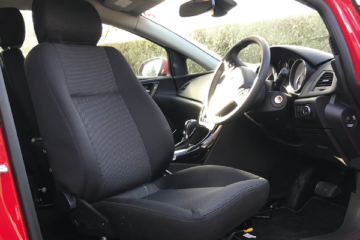 Available to fit on either the driver or passenger side, the seat is pre-programmed to give you the most leg-room as it turns out of the vehicle. The easy-to-use hand control gives you the option to adjust the position of the rotating seat. Fully crash-tested, this seat is CE-marked and has EMC approval. The Carony system is both a car seat and a wheelchair that makes travelling safe and easy. 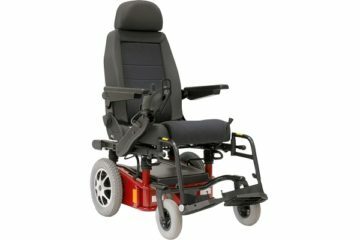 Fitted onto a Turny manual base, this comfortable car seat rotates to face the door and slides onto a wheelchair chassis. The versatile wheelchair has fold-away handles, built-in foot rests and fully adjustable padded arm rests. An easy-to-use car adaptation that makes getting into and out of your vehicle safe. 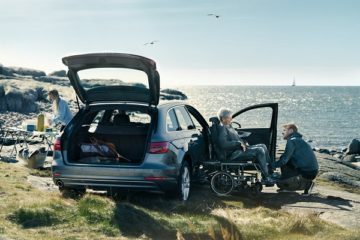 The Carony Classic is both a car seat and a wheelchair that can be fitted to the driver or passenger side. The seat rotates to face the door then slides onto a wheelchair chassis with 24” quick release wheels. This crash-tested system is CE-marked. The Carony Go is a car seat and an electric wheelchair in one system. 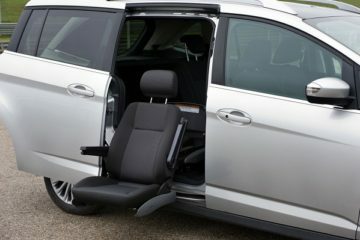 The car seat rotates to face the door and slides onto a powered wheelchair chassis with a 25km range. Controlled with a joystick the comfortable wheelchair is suitable for both adults and children. This crash-tested system is CE-marked. Elap’s rotating car seat is individually designed to suit each vehicle. 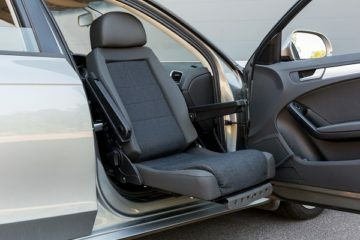 This crash-tested seat makes getting into and out of the vehicle easy. Adjustable arm rests are all available as optional extras. 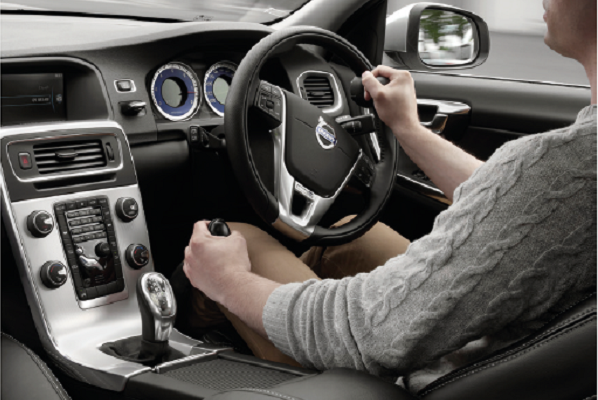 If you decide to sell your vehicle, the original manufacturers’ seat can be refitted with ease. This device helps you to make a sideways transfer between your wheelchair and a car seat. 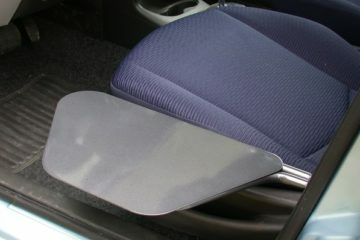 The tip-up plate is foldable and can be stored when not in use. 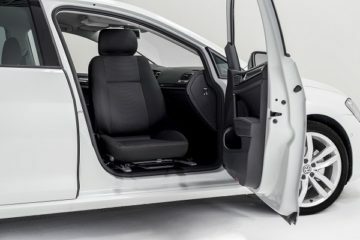 The car adaptation can be installed in vehicles with three or five doors on either the right or left front seat. 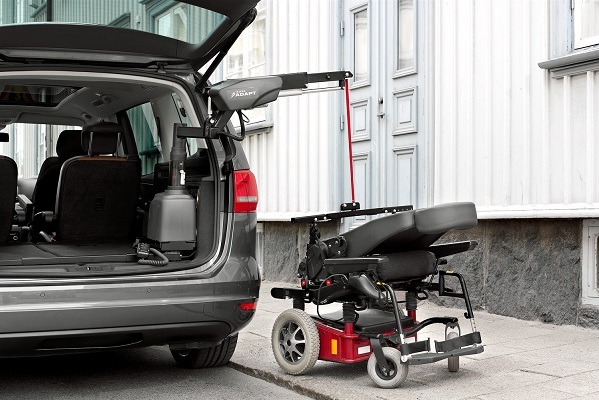 Stowage systems can help you to safely lift a wheelchair or scooter into your car. Our range of hoists are simple to fit and provide a hassle-free way of moving and storing your wheelchair.